Like a big bowl of colorful Jelly Bellies – Valparaíso offers the same eye candy. 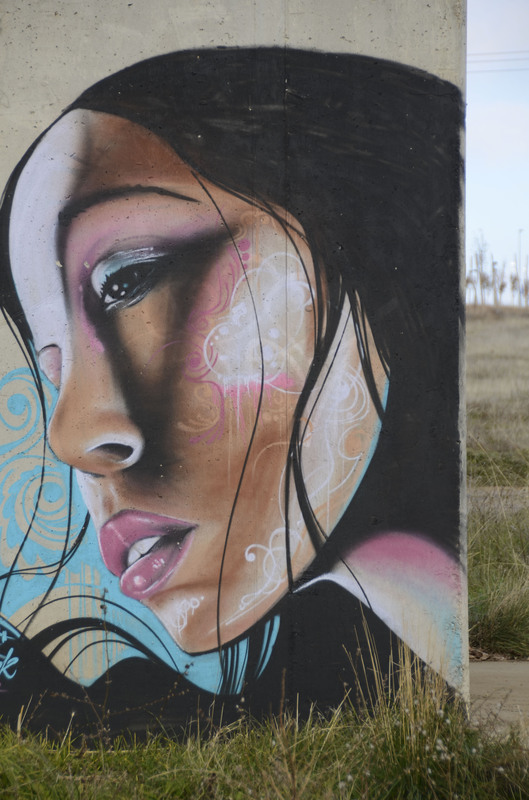 Old homes, wrapped in corrugated zinc siding covered in wall art/graffiti, cling to the 17 hills (cerros) towering over the port area. The best way to access this wonderland is to take a nail biting ride up one of many funiculars (acensores) – operating since 1833. The town is most known for its historic center of town – named a World Heritage site in 2003. The best part is the artist vibe oozing out of the cerros. A close second has to be the array of artisanal restaurants – from the architecture to the decor to the cutting edge menus. 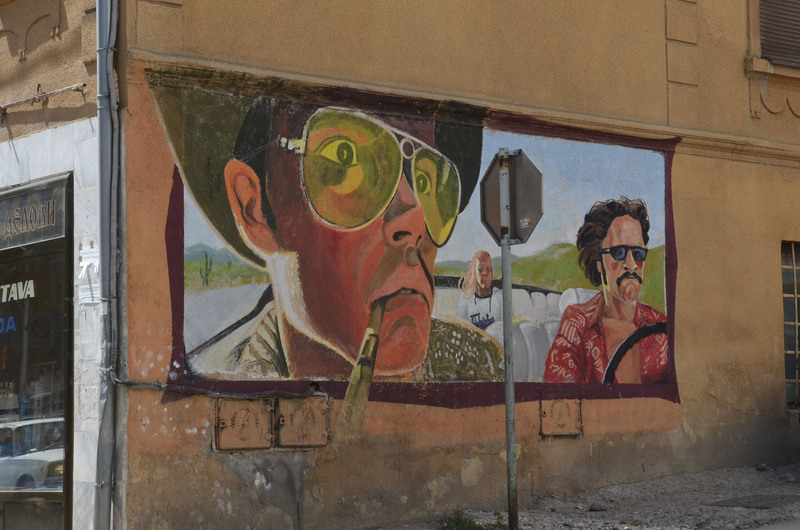 This entry was posted in Chile, South America and tagged Acensores, Art, Chile, Color, Funiculars, Graffiti, Photography, Restaurants, Travel, Valparasio, Wall art on December 21, 2014 by Bill and Paige. 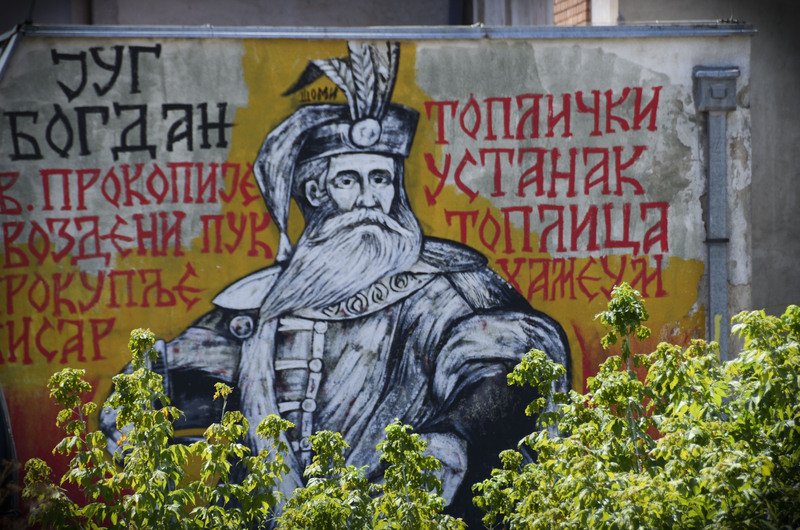 Unknown regal graffiti man between Serbia and Macedonia. Any ideas??? 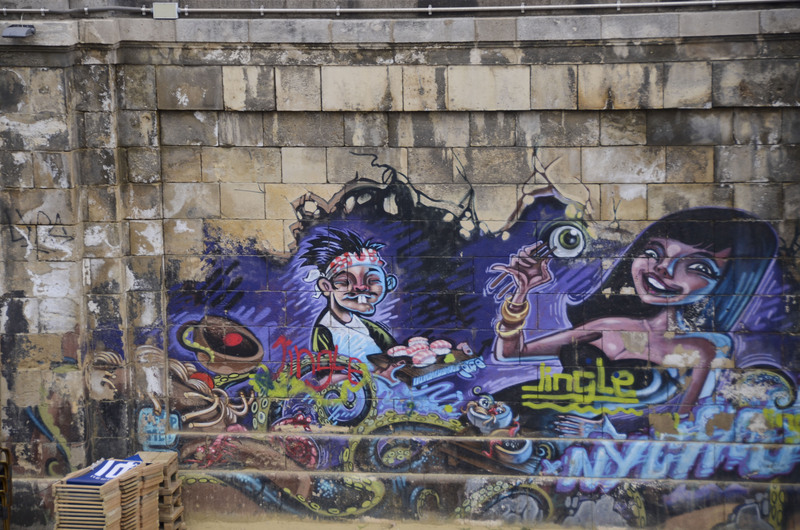 This entry was posted in Macedonia, Photo of the Day 2014, Serbia and tagged Graffiti, Photo of the Day, Photography, Regal man, Travel on September 12, 2014 by Bill and Paige. 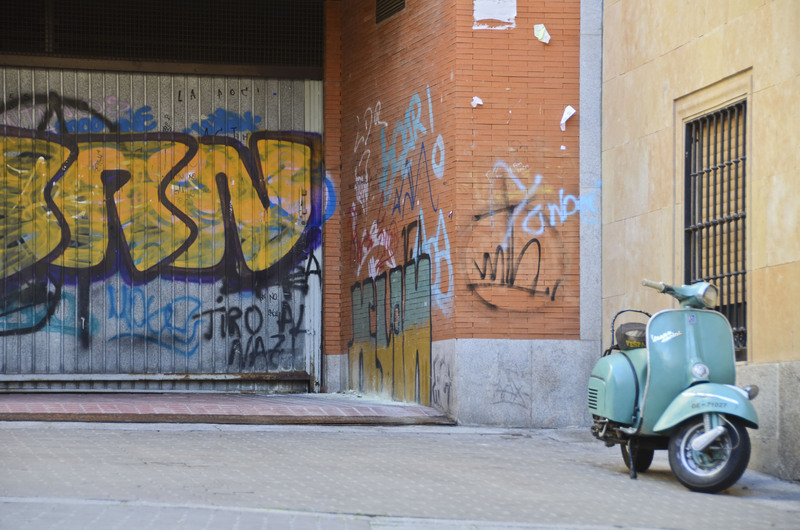 This entry was posted in Photo of the Day 2014, Salamanca, Spain, Spain and tagged Graffiti, Photo of the Day, Photography, Salamanca, Travel on September 8, 2014 by Bill and Paige. This entry was posted in Macedonia, Photo of the Day 2014, Serbia and tagged Graffiti, Photo of the Day, Photography, Travel on September 7, 2014 by Bill and Paige.